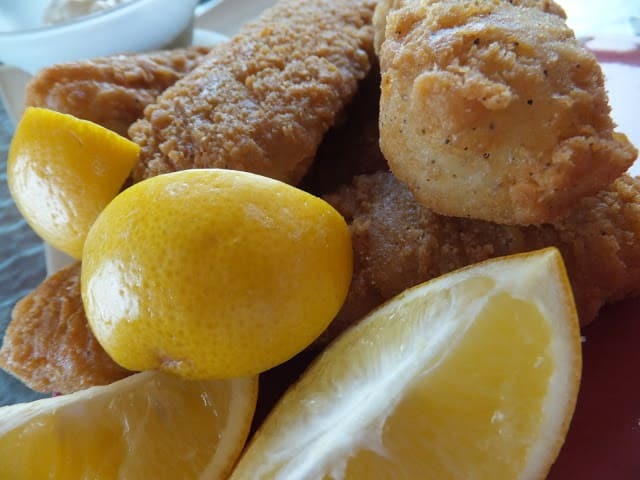 If you are from Wisconsin, you know all about our Friday Night Fish Fry. This is my version of that Classic Wisconsin Friday Night Tradition. To find out more about this Wisconsin Tradition…Stop here: Come Fry With Me. 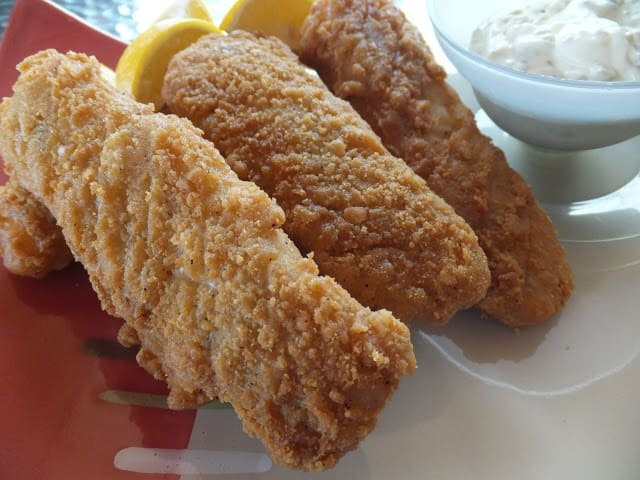 Beer Battered Haddock with Tarter Sauce is one of many recipes we use for fish. 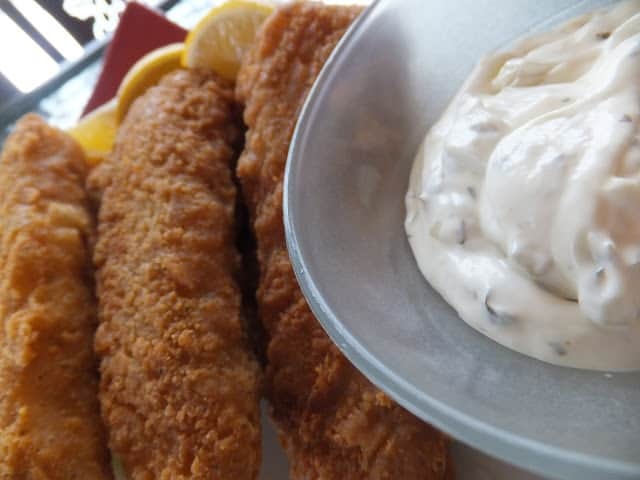 Our fish of choice is haddock. A light and mild white fish, that fries up wonderfully. Our Recipe Box is swimming with fish recipes! 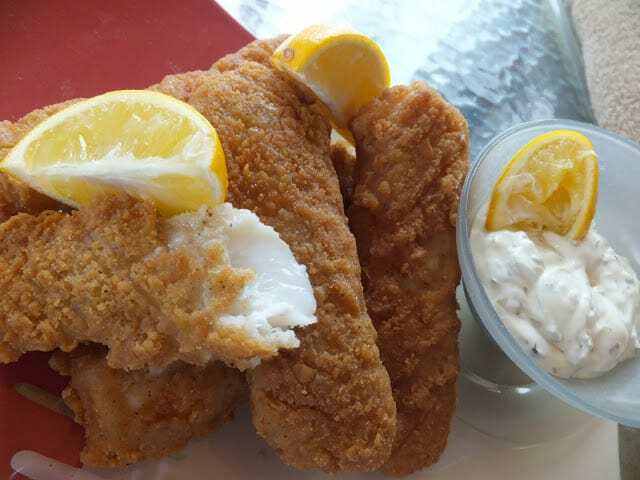 For the Classic Wisconsin Fish Fry experience serve beer-battered haddock with homemade tarter sauce, creamy coleslaw, potato salad, buttered rye bread and lemon wedges. An ice cold beer is optional but for some reason deep fried fish tastes better with an ice cold beer to wash it down with. Of course, there is always the classic brandy old-fashioned to sip on while your frying or enjoying your favorite fish fry. Join me in enjoying a Wisconsin Classic, Friday Night Fish Fry. In a medium bowl, combine mayo, sweet pickle, red onion, fresh parsley, lemon peel, lemon juice, fresh dill, and paprika. Chill 1 to 2 hours before serving. Makes about 1 1/4 cups. Cut fillets into serving pieces (sticks) and pat dry with paper towels. 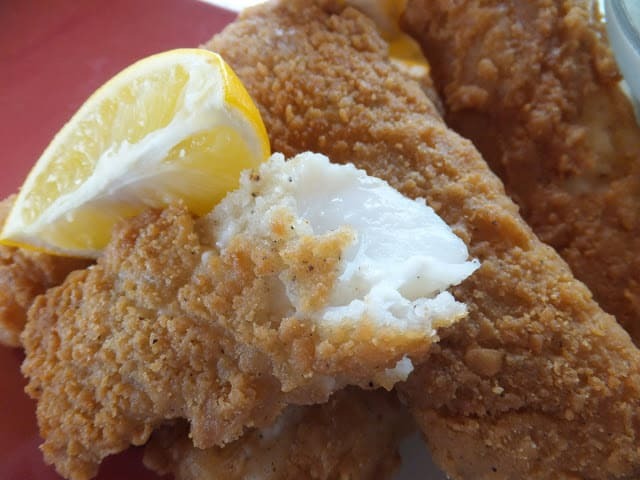 Dip haddock pieces (sticks) into flour mixture, then dip in egg mixture, then back into flour mixture, submerge in hot oil and fry until golden brown. Remove from fryer and drain on paper towels. *I like to double the dry ingredients and the wet ingredients. This will assure you don't run short on batter/coating ingredients. I hate when that happens! Gday! Mouthwatering photos, looks very crunchy, true! The fish looks crispy and delicious! I'll have to keep this in mind when it's warm enough to heat up our outdoor fryer.